When it comes about choosing an energy resource, three are the things that matter the most: efficiency, quality and how environmental friendly it can be considered. Luckily, there are plenty of gas distributor in Oxford that can provide industrial gas as well as natural gas for home or liquid petroleum gas. The local distribution company will take over gas installation services, fill up the lpg tank of the property or deliver gas bottles and gas cylinders. 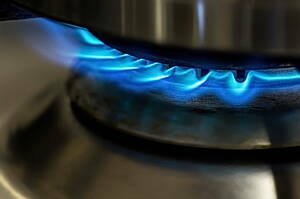 To ensure your safety, it is very important to check the gas connection, since a gas leak can lead to an explosion. For this reason, you might only count on the best gas supply companies in Oxford. Professionals will advise you about gas and safety. From Infoisinfo we recommend you make a gas and electricity price comparison and find out what works better for your budget. Cooking: you can achieve better results and prepare more delicious meals since it is easier to control the temperature than with electricity. Heating water is much cheaper with natural gas. Using gas for drying clothes allows you to save up to 50% in energy costs. Install a programmable thermostat that efficiently adjusts the temperature. Change your natural gas water heater it is older than ten years. Change the gas furnace it is older than 15 years. At Inf oisinfo we always work hard to be able to show you where to buy or hire the best products and services for you and your company in Oxford. Since we want you to get the best deals and save money, this time we have prepared a list of the best gas distribution companies in Oxford. They provide individuals with natural gas for home or companies working gas welding, for example. Contact details are available on our website such as phone numbers, websites, opening times or address. In addition, you can have a look at comments and valuations from other clients to get a better idea about the services of each gas company. If you find it useful, do not hesitate to share your opinion too so it can help others. Make a call and compare the different lpg prices and other gas prices.